COPT PRIEST SENTENCED BY EGYPTIAN COURT TO SIX MONTHS IN JAIL FOR EXCESSIVE CHURCH HEIGHT…….. – The Tundra Tabloids……. COPT PRIEST SENTENCED BY EGYPTIAN COURT TO SIX MONTHS IN JAIL FOR EXCESSIVE CHURCH HEIGHT…….. Religion of tower height envy. It’s why they build their church’s on the side of cliffs, below street level. No church or synagogue can be higher than any mosque. It’s the way things always has been between the Islamic supremacists and their dhimmis. 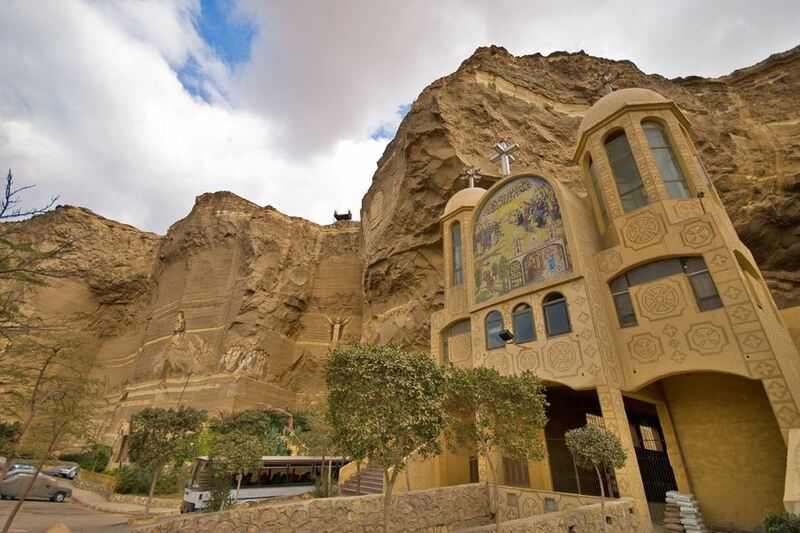 (AINA) — A court in Edfu has sentenced Reverend Makarios Bolous, pastor of St. George’s Church in the village of Elmarinab, Edfu, in the Aswan province, to six months prison and a fine of 300 pounds for violations in the height of the church building. The court also ordered the removal of the excess height. The church had received a license from the Governor of Aswan and was still under construction, but it was torched by a Muslim mob on September 30, 2011 (AINA 10-1-2011). Construction workers had started removing the excess height before the torching of the church. “Since then no work has been done to it. We are not allowed to pray there or come near it by order of the authorities,” said father Salib el-Deek of the Coptic diocese of Edfu. He said that they had proof that the church applied several times to the police to remove the excess, which it had started before the torching of the church, but were not granted permission. The police records were refused to be admitted as evidence by the court. The church lawyer also presented documents shwing that Rev. Makarios is not the one who is responsible for the removal of the excess height, but the architect and the building contractor, but the court refused to take this into consideration and Father Makarious was convicted. Previous Post Previous Post ANONYMOUS NOT SO AFTER ALL, SIX CHARGED BY US AUTHORITIES FOR COMPUTER CRIMES……. Next Post Next Post SPANISH IMAM UNDER INVESTIGATION FOR CALLING FOR VIOLENCE AGAINST WOMEN…….